My second restaurant stop on my Las Vegas Britney Pilgrimage was Sugar Factory in the Paris Las Vegas the night before the big Britney concert! 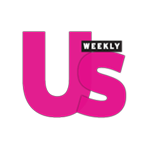 Sugar factory is the perfect place to eat and drink when you head to Vegas to see Britney because it is a celeb hot spot and the menu and drinks are super tasty and fun. 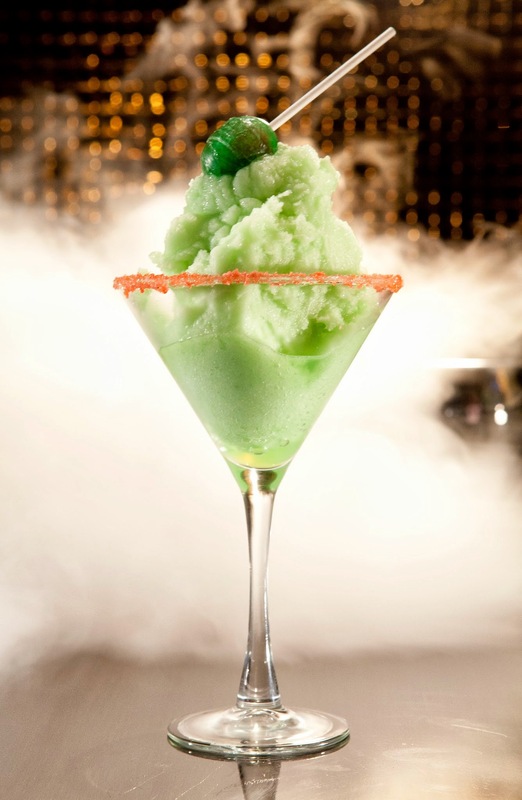 The first thing that we got to try at Sugar Factory was their infamous liquid nitrogen infused cocktails. Liquid nitrogen is the only thing that can freeze alcohol turning the cocktails into a slushy treat that can be scooped with a spoon and shared until they turn back into liquid. We had the chance to taste liquid nitrogen cocktails that tasted like fruit punch, a root beer float and a green apple blow pop. 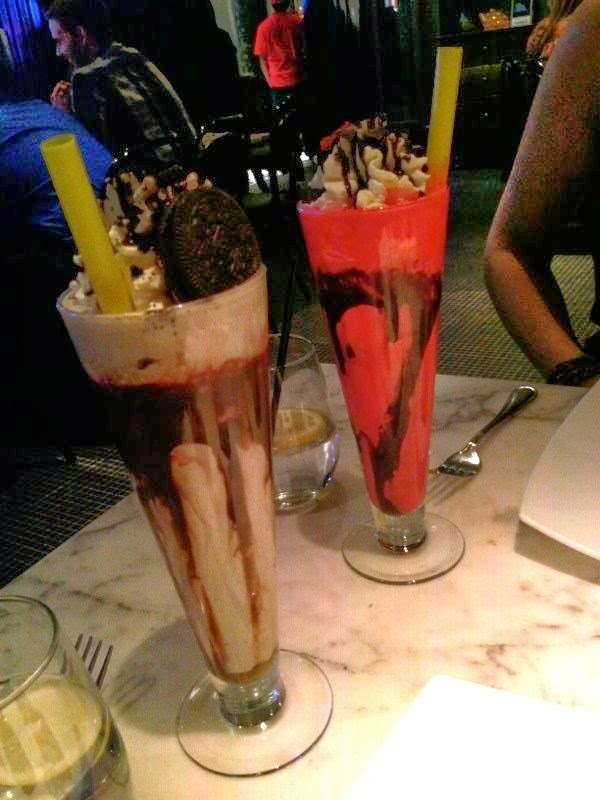 We also got to have a couple of Sugar Factory's world renowned goblet cocktails that bubbled and fogged up the table. Check out the video below to see the drinks in action. 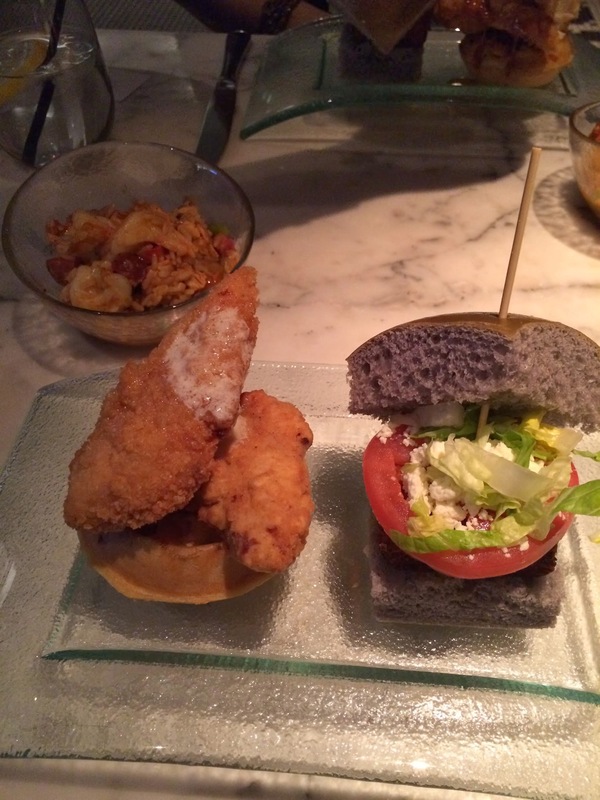 Along with fun and fab drinks, Sugar Factory also has delicious food. We got to try so many great dishes and every bite tasted like a dream! 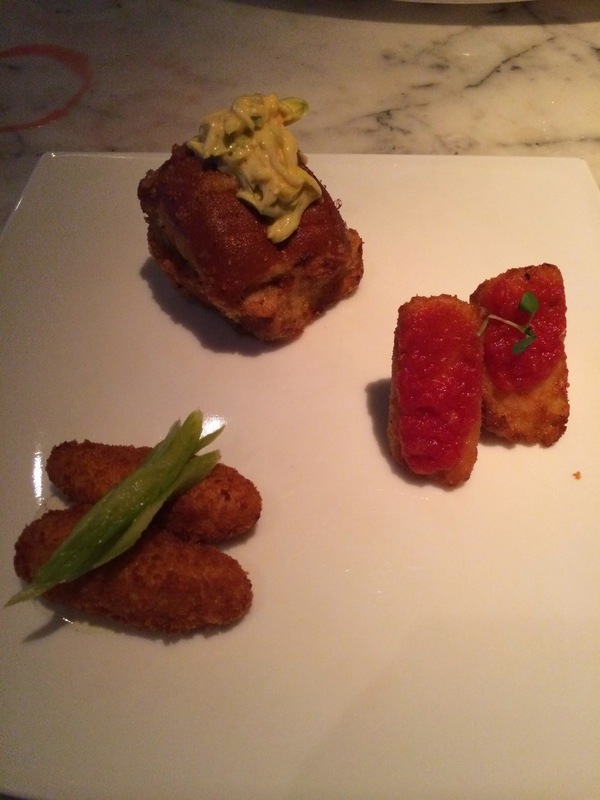 The meal started off with some appetizers that included favorites like fried macaroni and cheese. It was the perfect way to start the meal. We then moved on to samples of some amazing entrees including spicy jambalaya, fried chicken and waffles and a veggie sandwich. The jambalaya was filled with flavor and the fried chicken and waffles were perfection. The veggie sandwich is a great fresh option if you are not into eating meat or want something a bit lighter for the night. When a restaurant has a name like Sugar Factory you just know that the desserts are going to be insane! Our eyes opened wide like kids in a candy store (there is actually one connected to the restaurant) as the amazing desserts were brought out! 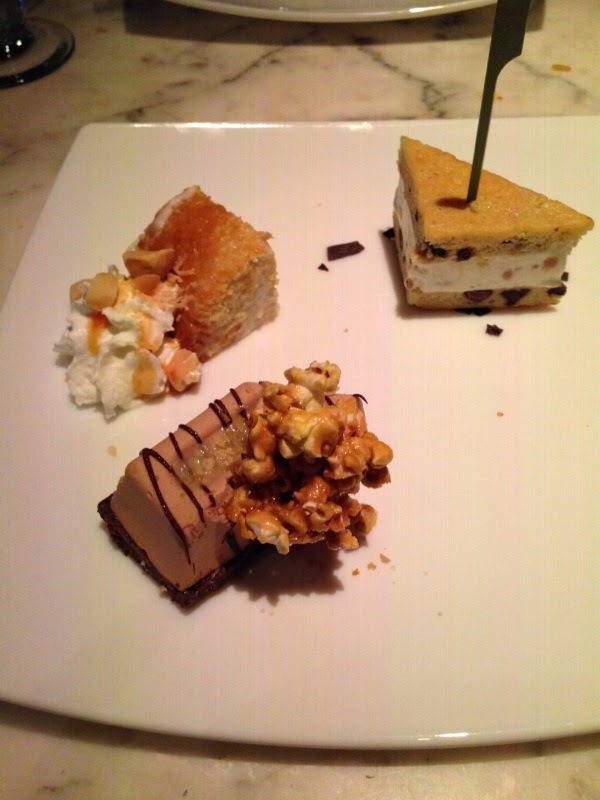 There was a peach upside down cake, a mini ice cream sandwich and a milk chocolate mousse bar made with toffee sauce and toffee popcorn. 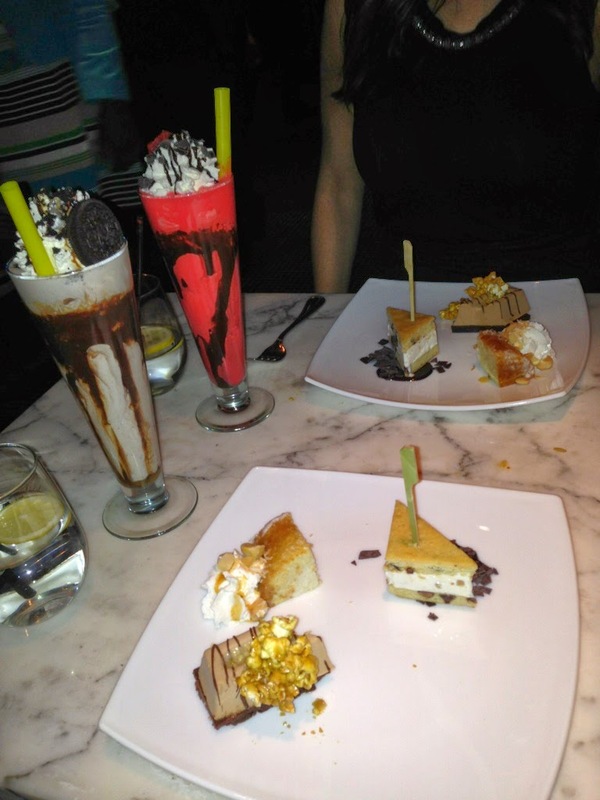 Just like you might guess, you cannot go wrong with any of the desserts at Sugar Factory. My favorite dessert had to have been the milkshakes! We got to try a cookies and cream milkshake and a red velvet milkshake and they were both on another level! I basically took the cookies and cream milkshake hostage and had a good portion of it for myself. When you find a good milkshake it is hard to let it go! 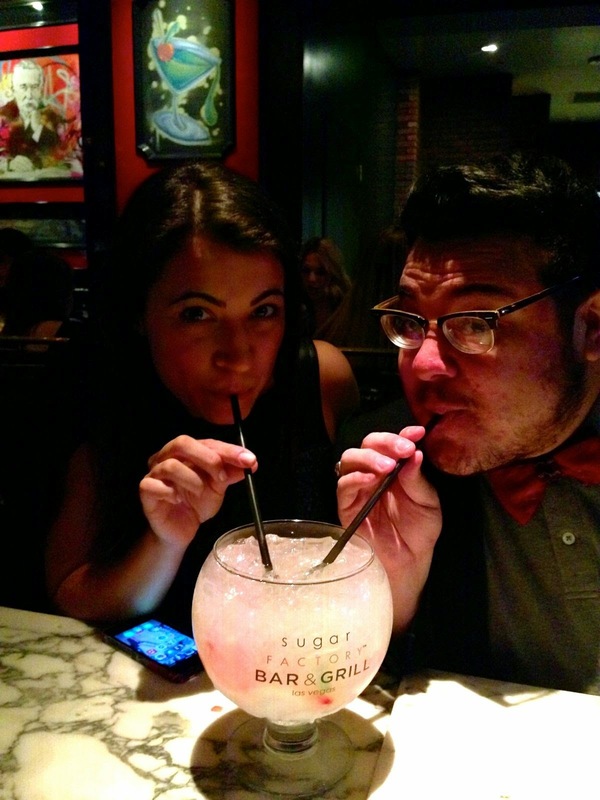 Sabrina Chapman and me drinking the White Gummy Goblet drink at Sugar Factory! Special thanks to Sugar Factory for having me and OJ&B over for dinner on Britney Show Eve! You have to stop by and try all of the interactive drinks and delicious food when you go see Britney Spears' "Piece of Me" at Planet Hollywood! Thank the pop heavens that she returns to Vegas on April 25th!